With members having over 40 years of field experience, Aultcomm LLC in Westminster, Maryland has been providing service to the mid-Atlantic region since 1998. We provide full design drawings, furnishing of equipment, and installations of all customized low-voltage communication systems for both residential and business customers. We here at Aultcomm LLC are committed to providing our clients with the most complete and comprehensive design/build drawings and specifications for any low voltage project. Aultcomm LLC has been in operation since 1998, though our experience within the field dates back over 40 years. Based out of Westminster, Maryland, Aultcomm LLC provides low-voltage services to both business and residential customers of all sizes. We are a family-owned and operated company and our years of experience have taught us to value hard work and customer service. 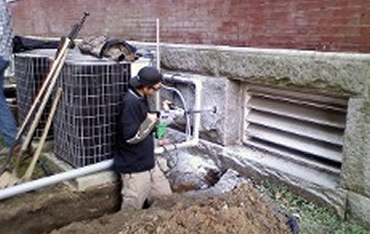 Our technicians are trained and certified to install all the latest technology. Whether you are looking to install a home theater setup throughout your house or equip your business with full security and paging systems, Aultcomm LLC can design, furnish, and install these low voltage systems to fit your individual needs. Let Aultcomm LLC help you take advantage of the latest technology to make your home or business more comfortable, more secure, and more efficient. Give us a call today at (443) 974-4831 to set up an appointment. Appointments will include a property tour to allow any system(s) to be uniquely designed to fit your needs.